Kyo ichinichi ryoshusho sutto yattemashita. Ashita kara cleaning to packing hajimarimasu. Chotto tsuri ikitai demo ashita samui mitai. Ashita JSNX training shitai. Atode up in the air. Kyo “Compex” try shimasu. Konshu ippai training shimashita. Omorisan ippai JSNX( joint stabilization and normalization exercises) training shimashita. Sugoi ippai benkyo dekimashita. Rainen tameni motto balance to suyoi joint shitai. Training ganbarimasu. Kono mai Nobesan Sigmax kai sha chokai shimashita shimashita. Ippai ii body care mono moratta. Arigatougozaimashita. 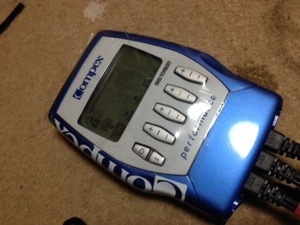 Compex machine ippai body dekimasu. Let me explain about this device in English. This machine not only can train the muscle but it also can recover the muscle directly to the muscle itself rather than sending the signal to the brain first. I believe this device will speed up my recovery after any tough conditioning. Thank you Sigmax and Nobesan for their help. 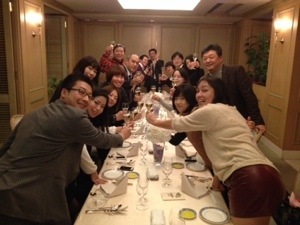 Kino Facebook golf club friends arigatougozaimashita. 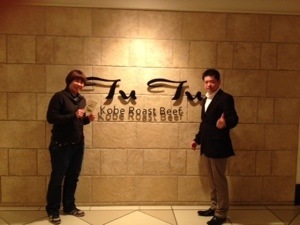 Ippai oishii roast beef tabemashita. Kotoshi ichinenkan minasan ouenshite kurete arigatougozaimasu. Kotoshi no mokkyo daitai dekimashita. Rainen motto suyoi senshu to ii putter naritai. Matta ouen yoroshikuonegaishimasu. I want to thank everyone for supporting me without all your help and support, I cannot be this far. It’s funny how my picture board became true. I made picture board two years ago by putting pictures of how I want to become, thing I want to achieve. I am amazed from what I already achieved this year. I won a tournament, got a new car, and finished 18th on the money list. The only missing thing is a house. 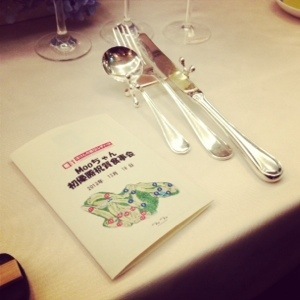 Therefore, I want to work harder next year. My resolution for next year is to become top 20 on putting stroke. Then, I want to have more stability on my lower body as well as better balance. One of my goal is to win a major next year. My family for giving me all support. Then, thank you my grandpa. I am very lucky to be able to see you before you passed this year. My manager/number one caddy/Japanese mentor Makoto Nagai and her family. Ezuresan and Ezuresan team for making me become a better player. 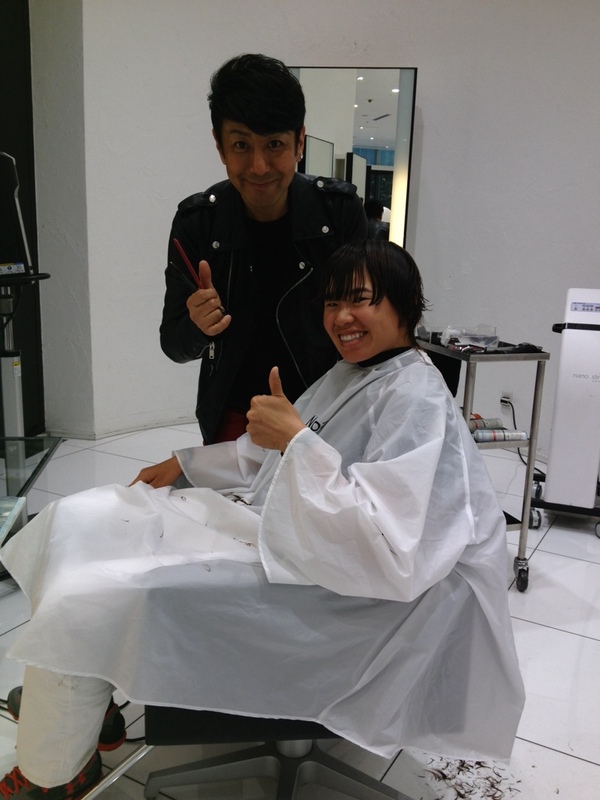 Hirone and Kikawa’s family for their help with body care. Gifu Seki Country Club for a place for their practice facility. My main sponsor Miyata Space and Craft Thailand and Seikosan. World Golf Network for their continued support. Adams & Taylormade Japan for taking care of my equipment. Adidas and Bloodshift for apparel. Phiten for all body care products. All the fans who I cannot mention here. Last but not least, thank you God for giving me all the chance. I am very grateful for what I earned thus far. I will never take anything for granted. Thank you for reading my blog until this line. Merry Christmas & Happy New Year 2014! !